USJ8 to Empire Shopping Gallery. 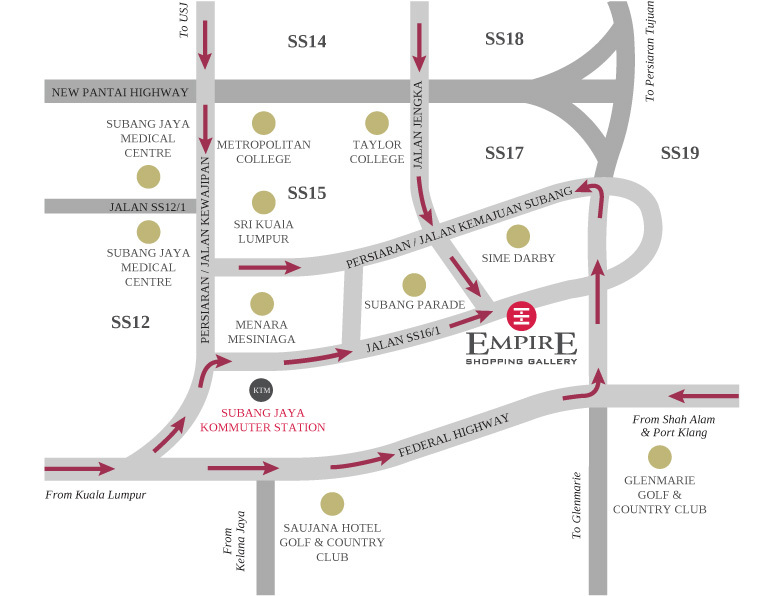 Direct rail access from Subang Jaya KTM Komuter station (5 minutes walk from Empire Shopping Gallery). From KL Sentral to Subang Jaya KTM Komuter station. From Port Klang to Shah Alam to Subang Jaya KTM Komuter station.